Here’s the truth: Collagen is having a *very special* moment. You may have first heard collagen when plumping your lips with injections first started. But the benefits of collagen go way farther than plumping your lips. Here’s what we know about it at Style Salute HQ, plus how adding collagen supplements to your diet can deliver plumper, more youthful hair and skin. First off, collagen is the superglue that holds your body together–literally. It’s a protein in our body that is found almost everywhere: skin, tendons, ligaments, bone, cartilage, blood vessels, teeth–everywhere. Over time, our collagen production decreases and our supply start depleting over time. And when collagen production starts to diminish, so does our skin elasticity. It’s a lack of skin elasticity that leads to fine lines, wrinkles and cellulite. It can also cause slower muscle recovery and a decrease in mobility in our tendons and joints. To prevent these aging effects of time, people turn to taking daily collagen supplements, which promise to boost the body and skin. The problem here is that there’s no agreed-upon answer when it comes to the efficacy of these supplements. Studies have shown that supplements could help keep your skin tighter, your muscles stronger, and your bones more resilient. This leads to gradual tightening of the skin. Users of collagen supplements swear by them, while others are skeptical that oral supplements can’t do anything for the skin. So while there’s no definite good-or-bad answer to the “should I take collagen” question, there are, in fact, many experts who find these supplements to be an effective and helpful boost to the vitality of your skin. We’re all about skin health, so why not try something that has the potential to improve our skin? Dietary supplements aren’t exactly new news (we’ve been fans for a while). The supplement market in the U.S. is currently worth $133 billion, according to Zion Market Research, and there’s been a resurgence in recent years of new start-ups like Ritual and Care/Of which now deliver personalized vitamin assortments to your doorstep. There’s also formulas with more holistic ambitions, focused on wellness and beauty. Thankfully, these supplements are an ultra-convenient way to improve your hair and skin health. Most supplements are hydrolysed, which means that the collagen has been broken down into smaller fragments, making it easier for the body to absorb. If plumping your face with injections isn’t for you, keep scrolling for some alternatives. 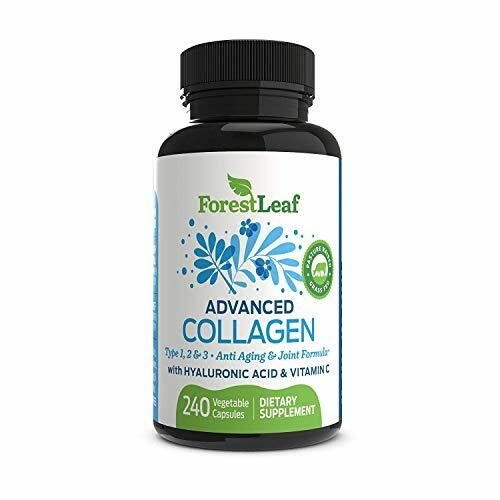 Keep scrolling for the fifteen best collagen supplements of 2019 according to Amazon reviews. 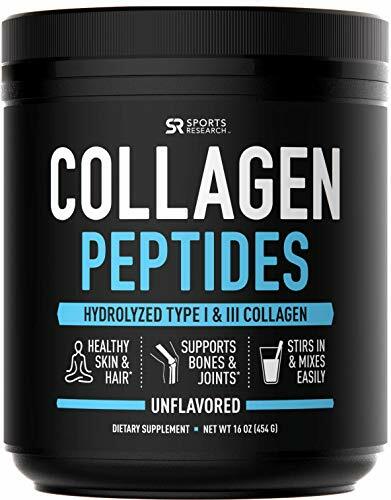 The Collagen Peptides Powder by Sports Research contains hydrolysed type I and type III collagen. Add the powder to water, or mix it in with your oatmeal, yoghurt or smoothies. It’s certified by the Paleo & Keto Foundation and non-GMO verified by the IGEN programme. It’s also unflavoured and gluten-free. Vital Proteins is a well-known name in the wellness world. Their collagen powder is pasture-raised, grass-fed, non-GMO and kosher, and it’s soluble in cold and hot liquids. Pro tip: mix it in with your morning coffee or tea. 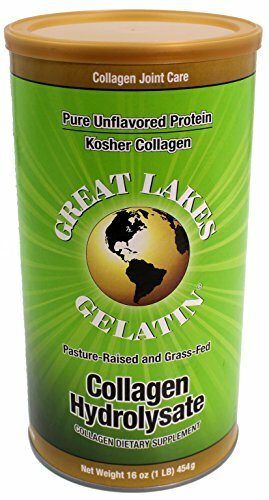 Great Lakes’ collagen is made from hydrolysate beef gelatine, which helps to regulate the body’s metabolism. It’s a great source of amino acids that help support healthy bones, teeth, hair and nails. 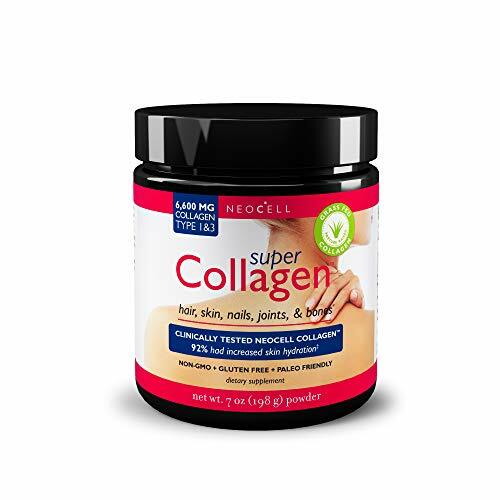 NeoCell’s Super Collagen powder contains a combination of type I and II hydrolysed collagen peptides that work to keep your skin, hair and nails healthy. It has about 6,600mg of both collagen types per serving. Dissolve one scoop of the unflavoured powder into your favourite beverage and make sure to consume it daily to see optimal results. 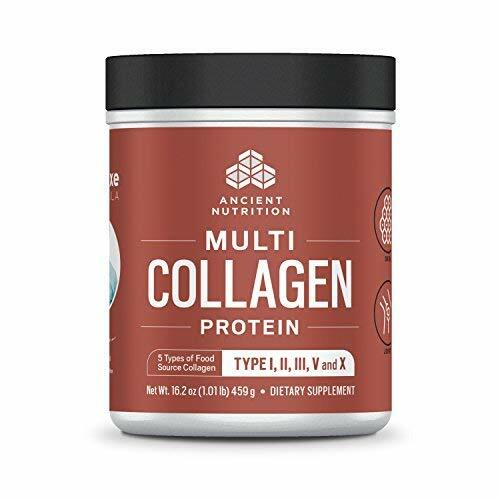 Ancient Nutrition’s Multi Collagen formula features five collagen types, including types I, II, III, V and X from four different sources. It’s a high-quality blend of hydrolysed bovine, chicken, fish and eggshell collagen peptides. It’s also keto friendly, high in protein and low in calories. 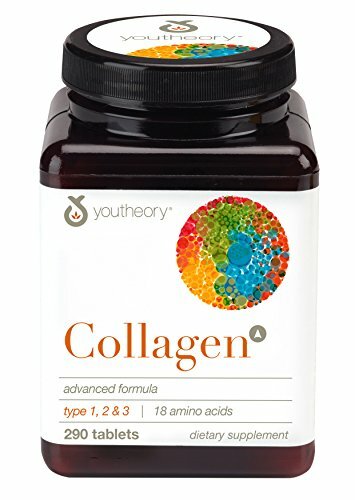 Youtheory’s formula is made of collagen peptides advanced with vitamin C to fight the signs of ageing. Take this supplement daily to revitalise skin, hair, nails, tendons and ligaments. It can be hard to find a vegetarian-friendly collagen supplement that actually does the job. That’s where ForestLeaf comes in. 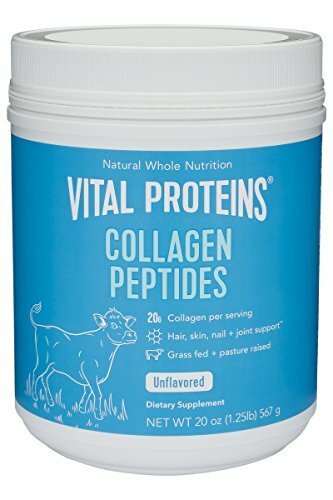 Their Advanced Collagen supplement is non-GMO and free from dairy, gluten, eggs and nuts. 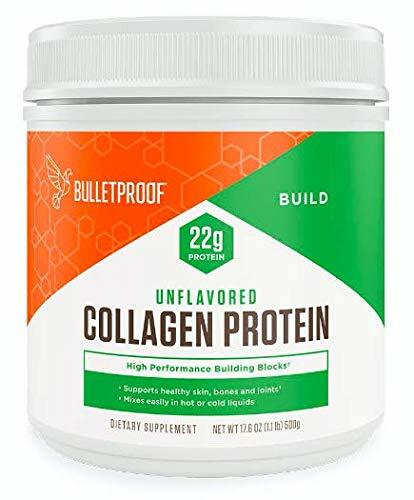 Bulletproof’s Unflavoured Collagen Protein contains more collagen than bone broth and is sourced from pasture-raised cows. The formula is all natural and doesn’t contain any dairy, egg, sugar, corn, yeast, wheat, soy, gluten or preservatives. WellPath’s collagen powder is formulated with five nutrient-rich sources of natural collagen peptides that help keep your joints agile. 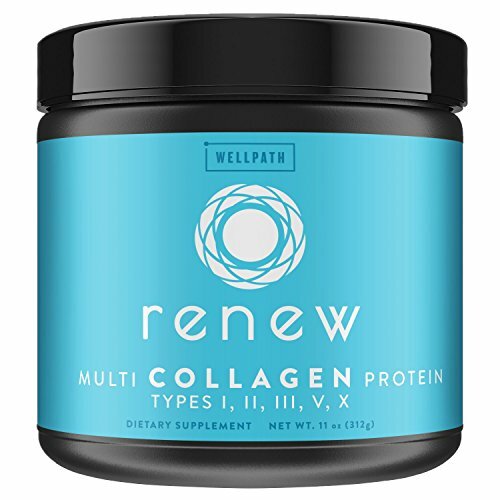 Offering more benefits than single-type collagen, RENEW is a blend of types I, II, III, V and X collagen peptides that are sourced from grass-fed bovine, wild caught fish, cage-free chickens and eggshell membrane. Primal Kitchen’s Collagen Fuel is paleo and keto friendly. It doesn’t contain any gluten, grain, dairy, whey or soy. 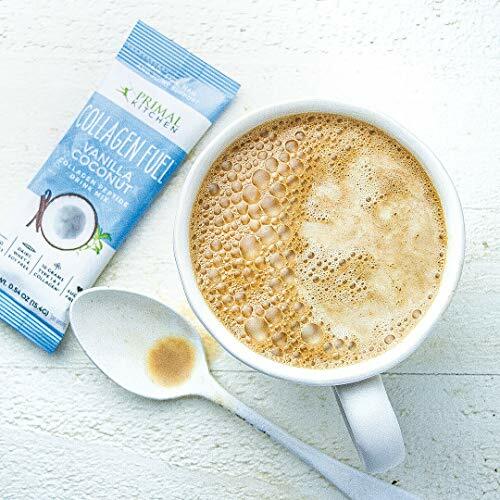 The yummy vanilla coconut flavour is perfect for smoothies and shakes, and it also works great as a coffee creamer. 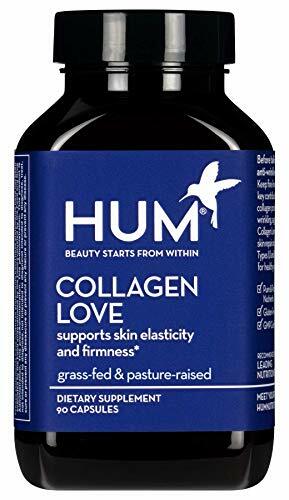 HUM Collagen Love contains a unique skin repair and protection blend with Collagen I and III essential for healthy, young looking skin. Combining in a powerful formula with chondroitin sulfate and moisturizing hyaluronic acid, this restorative blend supports elasticity and firmness in all the right places. 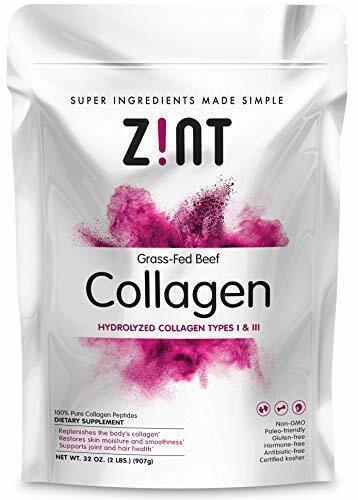 Zint’s collagen peptides dissolve easily in any liquid, making it ideal for smoothies or your coffee. Sourced from non-GMO, grass-fed, pasture raised cattle, Zint is paleo friendly and kosher certified. 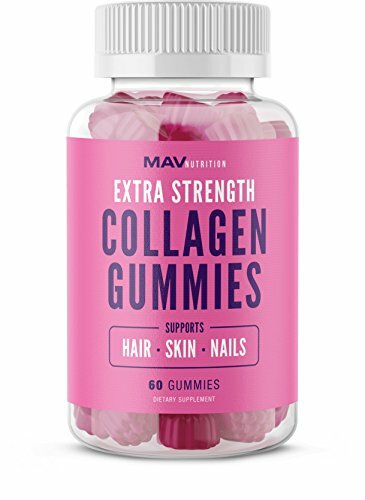 These extra strength Collagen Gummies by MAV Nutrition are designed for those who want to improve the appearance of their hair, skin and nails without the struggle of having to swallow pills. Each serving provides 50mg of hydrolysed type I and III collagen and also includes vitamin C, E and biotin. 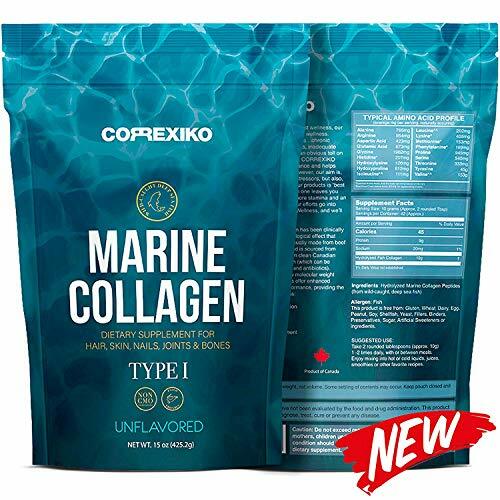 This Marine Collagen is sourced from wild-caught deep-sea fish from Canada. Fish skin is naturally rich in collagen and helps to support skin tone and elasticity. It also nourishes hair follicles for new growth. 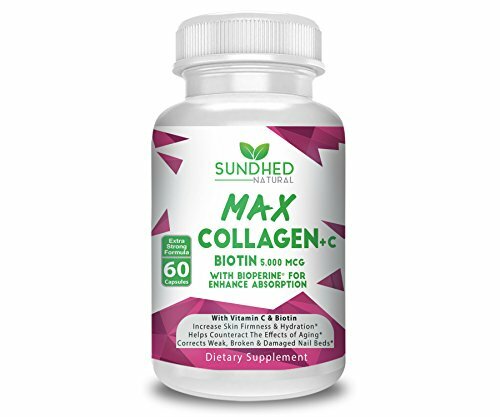 Max Collagen by Sundhed Natural is made from hydrolysed collagen, vitamin C, biotin and BioPerine, which has been shown in clinical research to increase the absorption of nutrients in supplement formulas.